I believe that every person has the innate wisdom to perceive their own connectedness and the expansive, multifaceted reality of their existence. The roots of suffering lie in the belief that we are disconnected and powerless cogs in society's machinery. As an artist, I feel it is my mission to inspire audiences and performers to awaken to their ability to sense, comprehend and embrace their greater, connected selves. I believe that dance holds a special place in inspiring the humanity of audiences. As we all have a body, there is an innate empathy towards the dance performer. As the dancer experiences their own awakening and movement catharsis, the audience will empathetically experience it too. I use the body's movement to explore specific facets of the wisdom of connectedness. FUKUDANCE is a collective group of artists with the integrities who believe in the mission. "You Are Not Yours" explores the hypothetical space where the dancers become the marionette, imaginary strings connected to the dancer's head, back and other possible body parts manipulating the dancer's body. It is the movement based exploration that stimulates the audience's mind by abstractly unraveling the contradiction of the reality of hierarchical society. Abstractly interpreted about eclosion (metamorphosis in French), meaning the life stage of some insects undergoing transformation. Hands are the symbols of freedom, growth, and transformation. Movements without hands metaphors something incomplete, restricted or something in process to become complete. How they (or we) struggle to transform. Discoveries, challenges during the transformation. Inspired by Beethoven's struggle after he became completely deaf. Feeling sound from vibrations and metronomes. 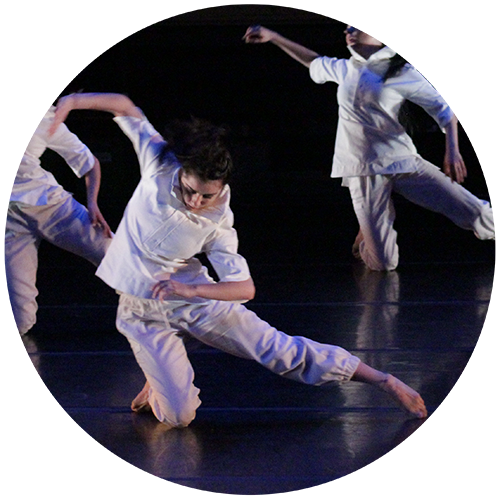 Fee support for FUKUDANCE may be available to nonprofit organizations through the New England States Touring (NEST) program of the New England Foundation for the Arts. Visit www.nefa.org for more information. Fukudance creates work from a belief in the necessity of live performance and the experience of art to convey humanity. Copyright FUKUDANCE. All Rights Reserved.